In more Zendaya film news! 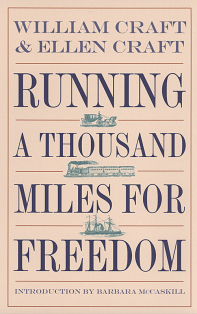 Deadline recently mentioned in an article that Zendaya has signed on to play Ellen Craft in the adaptation of the book, Running a Thousand Miles for Freedom: Or, the Escape of William and Ellen Craft from Slavery. As of 2016 the project was in development at Alloy Entertainment and Alloy Features, with Suzanne Allain attached to script. The History: In 1848, William and Ellen Craft made an amazingly clever escape from slavery in Macon, Georgia. Ellen, the daughter of a biracial slave and her master used her light skin and features to disguise herself as a white male planter. With her husband William posing as her servant the Crafts traveled to freedom in plain sight. This will be the third period production that Zendaya will be taking part of. She was first in the 2017 musical, The Greatest Showman. In the musical the actress played one of P. T. Barnum's circus acts; a trapeze artist. News also broke of her casting as Anita Hemmings in a thriller adapted based the Karin Tanabe novel, The Gilded Years. The novel is a thriller based on the true story of Anita Hemmings time passing as white at a prestige school at the turn of the century. The published their account in 1860. This news makes it her second casting in a period production about a white passing woman of mixed race ancestry. While there is some apprehension about whether Zendaya can realistically portray a white passing person, I am very glad to see her reaching out for meaty roles in historical settings. While both deal with passing, Anita Hemmings and Ellen craft stories are entirely different. I look forward to more news about her projects! !